Ask an outsider what first comes to mind when they hear the word “Colorado,” and chances are they’ll say something like “mountains,” “skiing,” or maybe even “beer.” While, yes, we are known for all of the above, one of our biggest secrets as the seventh driest state in the nation is our love for water! 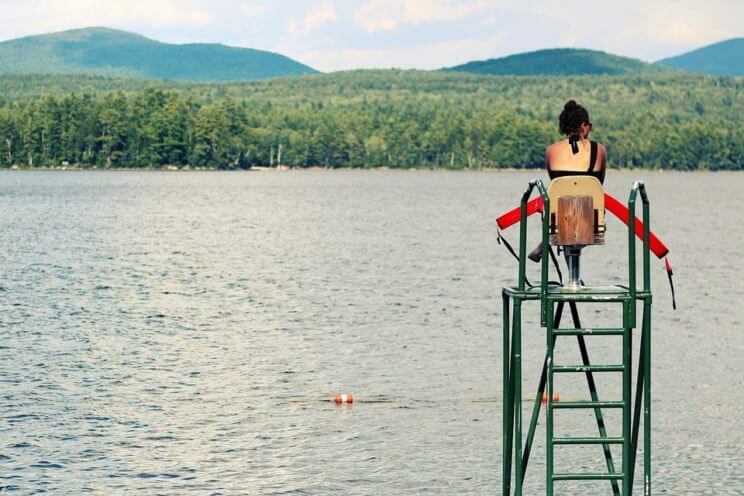 Being landlocked certainly doesn’t keep us from drinking in every last drop of our lakes, rivers, and hot springs. 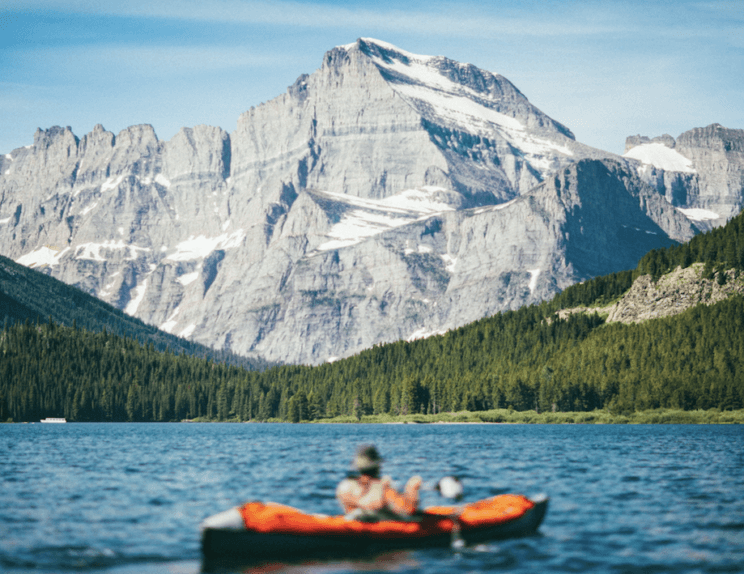 Whether you’re a kayaking cub or a seasoned stand up paddleboard specialist, the Centennial State will not disappoint if you’re looking to get your feet wet this season! With several rivers twisting, turning, and plunging through the mountains, if you thrive on adrenaline-producing adventure, you don’t need to travel far to find your weekend kayaking or rafting rush. 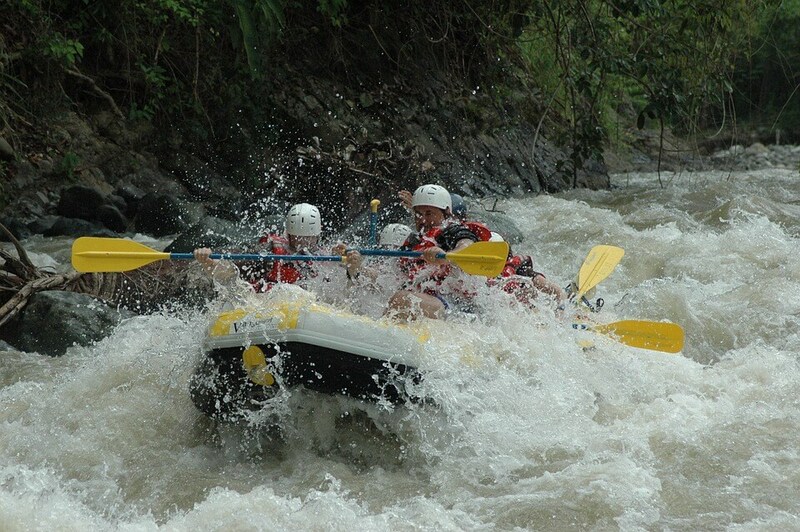 Brown Canyon is the most popular white water rafting destination in the country. If you don’t have your own equipment — or much experience — opt for an outfitter like Browns Canyon Rafting. They offer over 20 different rafting and kayaking trips ranging from half-day family floats to 3-day Class V escapades. Enjoy one of nation’s newest national monuments and its abundance of wildlife and picturesque backdrops. Keep your eye out for bighorn sheep and elk. The Browns Canyon Rafting website has a nifty comparison chart to help you choose the right option depending on your desired trip length, rapid class, participant ages, and budget. Cache la Poudre River was named a National Heritage Area thanks to its historical role in providing water to new settlements on the Front Range. Though less frequented than Browns Canyon, reserving your raft or inflatable kayak well in advance with a tour operator like Mountain Whitewater is a good idea. Meander through history while scanning the shoreline for abandoned cabins built a century ago by early settlers and traveling miners. After a day on the water, enjoy a well-deserved Colorado-brewed beer and live music at The Paddler’s Pub. Yampa River is one of the few remaining free-flowing rivers (i.e., no dams, dykes, or levees) in the United States. If you’re up for a longer trip, head over to the Utah-Colorado border to Dinosaur National Monument. National Parks Service authorized outfitters, such as Adventure Bound USA or O.A.R.S., offer multi-day rafting trips that include short hikes giving you the chance to explore ancient Native American sites and search for fossilized dinosaur bones. Experience the area many claim to be the birthplace of the modern American environmental movement. If conservation groups hadn’t protested a proposed dam in the 1950s, much of this geological marvel would be underwater today. If you’re itching for some adventure, but you’re without wheels, head over to Confluence Park using the RTD network, rent a kayak or canoe, and paddle away down the South Platte. If you rent from Confluence Kayaks, they’ll shuttle you 15 miles upstream to Chatfield Dam. As you make your way back to the heart of Denver, there are various opportunities to stop and grab a bite to eat, watch wildlife, or even climb a tree to catch the view from above. Sleep in! Since you’re so close to home, there’s no need to wake up at the crack of dawn to set sail. Remember, being adventurous doesn’t mean you should throw all common sense overboard. Be sure to listen to your guides, check weather forecasts, and anticipate any less-than-ideal situations. Was your workweek a little crazy? If you’re looking for relaxation instead of action, opt for one of these! If you have boating experience (or have a buddy who does), rally up a group of friends and rent a pontoon boat at Cherry Creek State Park or Chatfield State Park. Both are less than 25 miles from Denver and offer plenty of other recreational activities, such as swimming, and stand up paddleboard (SUP) rentals. If lounging on a pontoon boat isn’t your thing, head to one of the many natural hot springs in the Rockies. Though you’ll have to drive a bit, the restorative effect you’ll get from resting your tired bones in these mineral-rich waters is well worth the trek. If you want the totally off-the-grid, rustic experience, try at $15 day pass at Strawberry Park Hot Springs. Modest types, make sure to dry off by sunset when clothing becomes optional! For a more modern, luxurious experience, set out for The Springs Resort & Spa in Pagosa Springs whose claim to fame are the world’s deepest geothermal hot springs. Find your ideal temperature among their 23 therapeutic mineral pools ranging from 83-114°F. Check their website before heading over; they’re planning some renovations this spring that may result in partial closures. Been there, done all of the above already? Need something new? Colorado SUP Sports offers some out-of-the-ordinary experiences at Chatfield State Park. 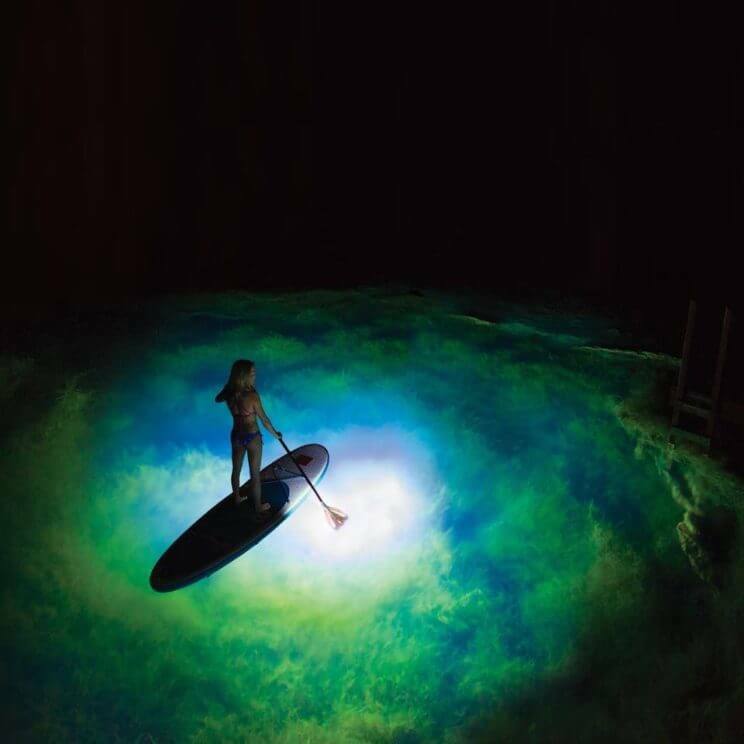 Join Colorado SUP Sports’ SUP GLO Night Tour. Using light-up paddles, experience the calmness of the lake after sundown during a 1.5 hour guided tour. Is your yoga practice getting stale? Or do you find land yoga boring? Challenge your balance to the ultimate degree with a SUP Yoga Class. Work on strength and stability with an hour-long SUP Paddlefit Class. You can also find what has been dubbed as the Miracle Wave at the Chatfield Reservoir. Bring your own surfboard (you won’t find any rentals in the area) and catch a never-ending wave. Psst… Check out Riverbreak Magazine’s website for other spots throughout the state! Though you can bring the kids along for all of the above (keeping safety in mind, of course), if given the choice, they’d most likely vote for a trip to Water World! Water World is one of the largest water parks in the US. If you have little ones, there are kiddie pools, gentle slides and interactive games. 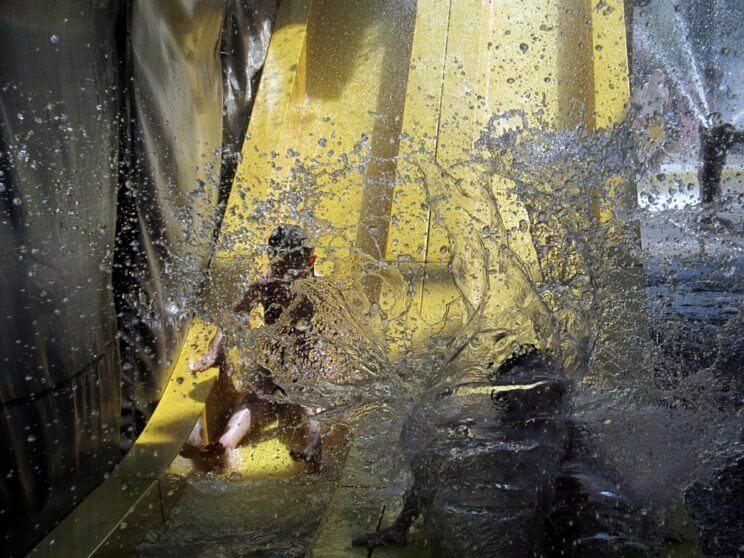 For big kids and adults, try boogie boarding, lazy and not-so-lazy rivers, and stomach-dropping waterslides. Water World typically opens for the season on Memorial Day weekend, but check their website in the case of inclement weather before heading up. Keep in mind that each activity comes with its own set of rules. Here are some of our tips to make the most of your trip! Protect your feet – For adventure sports, pick up a pair of water shoes. No flip-flops or bare feet! Protect your eyes – Bring a pair of sunglasses even if you don’t typically wear them. The added glare off the water can be extra bothersome. Secure your sunglasses with an around-the-neck strap, or they’re likely to go for a swim downriver. Protect your skin – Even on cloudy days, sunscreen and lip balm are critical. Don’t let a day-after sunburn ruin the great memories you made! Protect your stuff – If you’re planning a multi-day rafting, kayaking, or canoeing trip, you’ll want to keep clothes, sleeping bags, and food items moisture-free with a made-for-the-occasion dry sack. If you bring your cell phone along, a touch-responsive, waterproof case is a must! Your chosen outfitter will tell you if you need to bring anything else along. 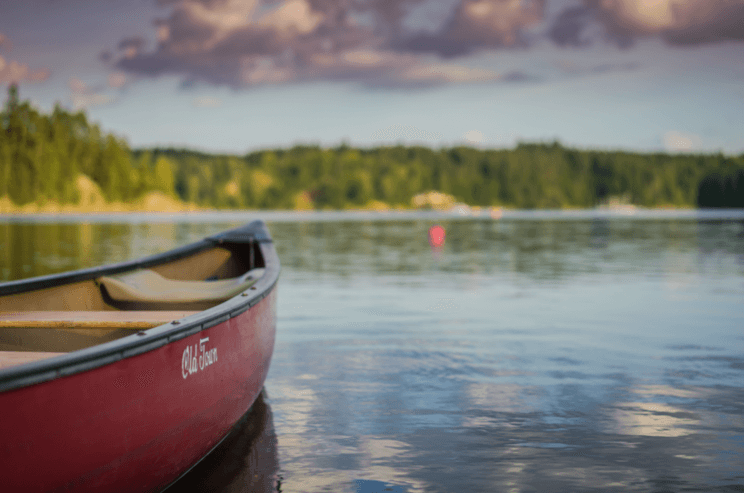 If you decide to go out on the water on your own, make sure to check if permits are needed, and don’t forget safety helmets and PFDs (personal flotation devices aka life jackets). A Swiss Army knife and a waterproof map are never a bad idea. So there you have it — no need for a coastal getaway when we can paddle, surf, boat, and soak right here at home! Psst… To read more articles by Libby Levinson visit and follow: LifestyleDenver.com or visit her real estate website at: LibbySellsDenver.com! Libby Levinson made the move into real estate in 2005 and proudly joined Kentwood Real Estate – Cherry Creek in 2006. During her career, Libby has had the pleasure of helping a variety of clients navigate their real estate transactions: helping first-time buyers find their starter home; coordinating the synchronized sale and purchase for buyers looking for more space; sellers looking to down-size; and assisting sophisticated investors with their next investment opportunity. She has also enjoyed working with buyers building their dream home from the ground up. Libby is known for her ability to smoothly facilitate the complex details of both the buying and selling process. She also writes for LifeStyleDenver.